1.2 Personal information cannot be collected via cookies or other tracking technology. However, if you previously provided personally identifiable information, cookies may be tied to such information. If you are a registered user, this may include your name and e-mail address for verification purposes. Aggregate cookie and tracking information may be shared with third parties. 1.3 You may choose to set your web browser to not accept cookies, see Section 5 below. However, if you do not accept cookies, you may not be able to use all the services provided, sign in on any pages or make purchases, and you do not help us learn how to improve our website, products, offers and marketing strategy. 1.5 Session cookies are used to track and store items in the shopping cart to ensure a user is recognized when moving from page to page within the website and that any information entered is remembered. They are used only for this purpose and only accessible by the website. 1.7 Session cookies, first-party cookies and third-party cookies cannot be used to identify individuals, they are used for aggregated statistics only. This allows us, for example, to tell which areas of the website are the most popular and better optimise the content for the interests of our users. 2.1 XLN Audio uses Google Analytics, a web analysis service of Google. Google Analytics employs cookies that are stored to your computer in order to facilitate an analysis of your use of the site. The information generated by these cookies, such as time, place and frequency of your visits to our site, including your IP address, is transmitted to Google's location in the US and stored there. XLN Audio uses Google AdWords to collect data about your activities. The data does not personally or directly identify you when you visit our website, the website of entities for which we serve advertisements, or the websites and online services where we display advertisements. This information may include the content you view, the date and time that you view this content, the products you purchase, or your location information associated with your IP address. We use the information we collect to serve you more relevant advertisements. We collect information about where you saw the ads and what ads you clicked on. XLN Audio may disclose aggregate, anonymised statistics about the number of visitors to the Website or number of purchases made. XLN Audio uses an independent measurement and research company to gather data regarding the visitors to the Website on our behalf using cookies and code which is embedded in the Website. Both the cookies and the embedded code provide statistical information about visits to pages on the Website, the duration of individual page views, paths taken by visitors through the Website, data on visitors' screen settings and other general information. XLN Audio uses and stores this type of information, as with that obtained from other cookies used on the Website, to help improve the services to its users. 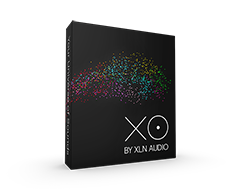 Further information regarding the way in which this information is obtained and used can be obtained by contacting us at support@xlnaudio.com. It is usually possible to stop your browser from accepting cookies, or to stop it accepting cookies from a particular website. All modern browsers allow you to change your cookie settings. You can usually find these settings in the 'options' or 'preferences' menu of your browser.